Top 5 Date Night Destinations in Melbourne — everAFTER magazine everAFTER magazine celebrates and inspires a couple’s journey from their engagement through to their wedding day and beyond including lifestyle and travel. Wedding venues, bridal, fashion and styling inspiration. everAFTER magazine celebrates and inspires a couple’s journey from their engagement through to their wedding day and beyond including lifestyle and travel. Wedding venues, bridal, fashion and styling inspiration. Whether you’re looking to celebrate Valentine’s Day with a romantic evening out or you’re simply on the hunt for some chic date night ideas, everAFTER has you covered with our top 5 date night destinations in Melbourne. Cutler & Co. Dining Room is located in an old metal works factory in Fitzroy, Melbourne’s first suburb and industrial area. Opened in 2009 by chef Andrew McConnell, Cutler & Co. is all about exceptional produce and a memorable dining experience. Striking a balance between elegance and simplicity with smokey leather booths, salt-flecked stone surfaces and herbaceous licks of spice in a green granite feature wall, the Cutler & Co dining room stirs all colours and textures into a space you can almost taste. The restaurant celebrates the seasons through an a la carte menu with larger sharing dishes or the daily changing chef's selection menu. A new addition to the space in 2017, The Cutler & Co. bar is a destination in it's own right. A stand-alone venue that caters for a quick drink, a platter of fruits de mer, or an abalone katsu sandwich. The dedicated bar menu celebrates the freshest seafood alongside smaller dishes that are perfect for snacking, or you can work through the whole menu and make a night of it. An institution in Melbourne’s CBD, Chin Chin is a quintessentially Australian restaurant with a south east Asian injection. A sensory overload, the Chin Chin experience is based on more than just food. Listen to curated playlists by one of Australia’s most respected DJs and see art exhibited on the walls by both established and emerging artists. Underneath Chin Chin restaurant lies its mistress, GoGo bar a mysterious and seductive venue, luring and tempting you to settle in and spend the evening exploring its exotic cocktail menu and unique wine list. Refined yet edgy, the cocktail menu highlights south east Asian ingredients with a bespoke twist. The wine list is driven by the food offering and features up and coming young wine makers that you maybe haven’t heard of, but won’t forget. Gertrude Street is the place to be and a night at The Everleigh is a unique Melbourne experience. 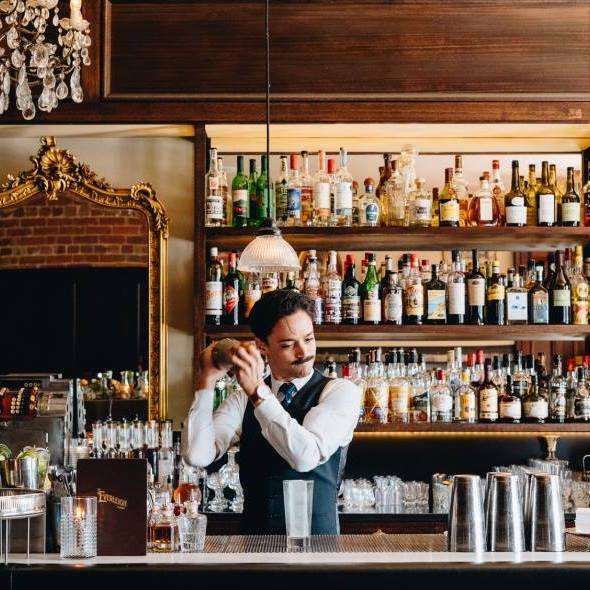 After entering through an American diner, walking down a dim-lit hallway and climbing a few stairs, you are whisked back in time to a bar reminiscent of the golden era dedicated to classic cocktails and service. Old world charm is abundant with Chesterfield lounges. The Everleigh is dedicated to warm, attentive, personalised service and quality drinks. Expect an individual experience here with interactive and engaging staff wanting to really get to know you. We suggest a 'Bartender's Choice' cocktail where the bartender will deliver a cocktail surprise based on your likes and dislikes. Every great date ends with great gelato and Messina is your go-to destination. If this is your whole date, no judgement. Anything goes at Messina from smashed up cheesecake, cookies, red velvet cake, caramel, honeycomb, coulis, fudges, wafers, brownies… almost anything can be made into a delicious Messina special in the hands of Head Chef Donato Toce. If you like good crunch, a sprinkling of textures and killer flavour combos this is the place for you. Messina pride themselves on ‘recreating’ classics as gelato, for example banoffee pie, iced vovos, margaritas and fairy bread. Check out Messina’s limited edition Valentine's Day creation, ‘Feeling Thorny’. Dulce de leche and earl grey gelato with strawberry compote in a white chocolate lined waffle cone, topped with dulce de leche, strawberry compote and salted caramel chantilly ‘petals’. 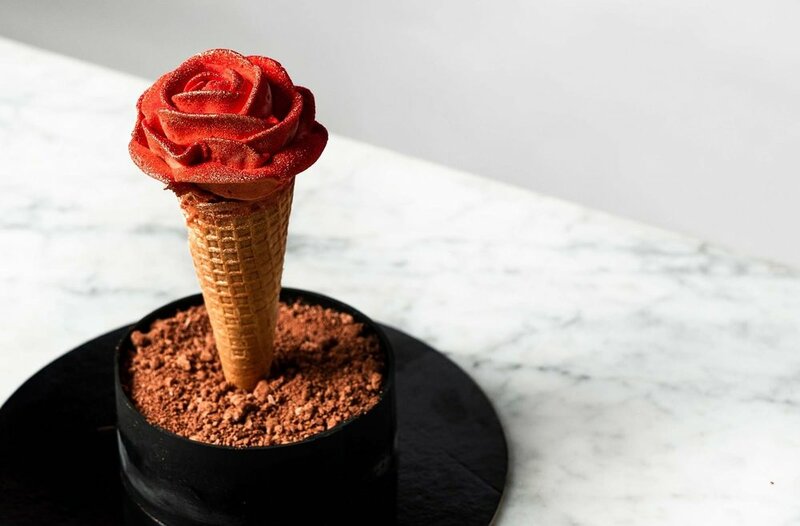 The cone is set within a choc hazelnut praline mousse and chocolate brownie ‘pot’. Order before they sell out across the country! A bar straight out of 1920’s prohibition America. Finish your evening with a night cap at Eau De Vie in Malthouse Lane. Sit up at the bar, a shared high table or a private booth. Eau De Vie also houses the Whisky Room secretly hidden behind a bookcase. 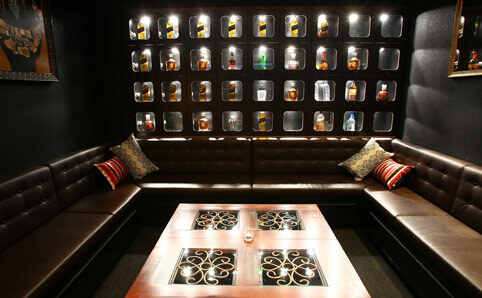 The Whisky Room owes its name to the large collection of rare and exclusive whiskies.